We are here to discuss the prospects for peace between Israel and the Palestinians. Israel has long sought to normalize its relations with Arab states without having to address the status of its captive Arab populations in the West Bank and Gaza. Do the changing geopolitics of the region at last offer Israel the opportunity to accomplish this? That would be a cost-free strategic gain for the Jewish state. This is the apparent aim of the “outside-in” approach that some in the Trump administration favor. Is something for nothing for Israel an idea whose time has finally come? Normalization of relations between Israel and its Arab neighbors has always been in the American interest. But now – quite aside from its benefits to Israel – normalization might open the way to a regional coalition of Arab states and Israel that could once again balance Iran. The foolish American installation of a pro-Iranian regime in Baghdad removed Iraq from any balancing role. A recrafted balance of power built on Gulf Arab cooperation with Israel, rather than Iraq, could facilitate the lower U.S. military profile in the region that Americans, Arabs, Persians, and Turks all claim to desire. Shared fears of Iranian power have already produced increasingly overt collusion between Israel and the Gulf Arabs in two arenas: intelligence cooperation and collaborative intervention in American politics to block improvement in US-Iran relations. Israeli intelligence agencies add capabilities that complement those of the Gulf Arabs. Israel’s information dominance over the U.S. media and its decisive influence on Capitol Hill impose a hammerlock on American pursuit of rapprochement with Iran. From the Gulf Arab perspective, the Jewish state’s ability to bring American politicians to heel is worth a lot more than sweet talk from the White House. Common concerns about Iran have brought Israel and the Gulf Arabs together, if only semi-covertly. Can these affinities now help achieve acceptance of the Jewish state’s legitimacy, normalization of relations with it, and an end to military tensions with it by the states and peoples of the region? For decades, this has been both the principal goal of U.S. policy in the Middle East and its most prominent failure. In 2002, all twenty-two Arab states unequivocally offered Israel peace and normal political and economic relations if it would strike a deal with Palestinians. The Arabs reaffirmed this offer in 2007 and again earlier this year. Another thirty-five predominantly Muslim nations have signed onto this initiative. The question has been what, if anything, Israel might be prepared to do to cash in on this offer by 57 states to make peace with it. Israel’s answer to that question till now has been bupkis. Nothing. Israel’s uncompromising refusal to accommodate Palestinian self-determination tests the willingness of Arab states as well as the international community to tolerate its subjugation of the Palestinians in order to pursue wider strategic goals. The Palestinians have done nothing to make themselves lovable in the eyes of other Arabs and much to alienate them and the rest of the world. Arab contempt for the Palestinian leadership is second only to Israel’s. The Palestinians now have no Arab champion. Mahmoud Abbas is in the twelfth year of his four-year term as president of the Palestinian Authority. Americans imagine he represents his countrymen. Most Arabs have come to see him as the kapo for life of the vast, checkpoint-checkered prison camp that Palestine has become for its Arab inhabitants. In their view, Abbas holds office only because Israel has murdered or jailed many hundreds of Palestinians who might otherwise have emerged as more credible leaders or negotiating partners. Still, Arabs are no strangers to public piety about the Palestinian plight as a cover for private cynicism about it. Egypt exemplified both traits forty years ago when it signed the Camp David accords on the basis of transparently disingenuous Israeli undertakings to facilitate Palestinian self-determination. It cannot be ruled out that others might now also sell out the Palestinians to promote interests closer to home. But, if there is little Arab affection for the Palestinians, there is even greater Arab resentment of Israel’s well-publicized daily abuses of them – fellow Arabs who are (for the most part) part of the Muslim umma. Since the uprisings of 2011, Arab governments have become more sensitive and responsive to public opinion than before. 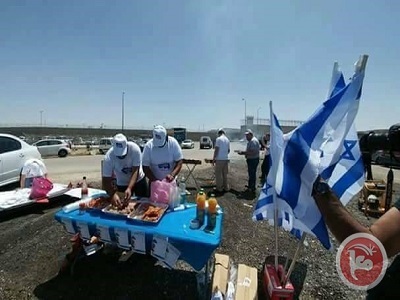 Israel has become a brand associated with inhumanity, arrogance, casuistry, and sadistic humiliation of non-Jews. The contemporary Jewish state is not easy to market to anyone who lacks a preexisting passionate attachment to it. This explains not only the Arab desire not to be seen in its company but the declining willingness of governments in the West to protect Israel from its burgeoning critics. In 1947, the international community supported the establishment of a Jewish state in Palestine as part of a partition plan. But Israel’s ongoing expansion into Palestinian lands has achieved its objective of making partition – a “two-state solution” – infeasible. Israel has repeatedly demonstrated that it wants land more than peace and that it places more weight on terrorizing those who resist it than it does on reconciling them to its existence. Israel now rules a realm that is half-Jewish and half-Palestinian Arab. Israel’s Jews enjoy full rights as the citizens of a democracy. Some Arabs – one-eighth of all the people governed by the Israeli state – are officially Israeli citizens. They are nominally represented in the Knesset but face intensifying racial discrimination and segregation by an assertively all-Jewish government and its electorate. The remaining three-eighths of the people governed by Israel are stateless Arab Muslims or Christians who live under the tyranny of martial law in the West Bank and Jerusalem or relentless collective punishment in the Gaza ghetto. The Afrikaans word “apartheid” is increasingly used both in Israel and internationally to describe this subdivision of Israel’s subjects into half subjugated and half free. Both the Afrikaner and Israeli versions of European settler colonialism rationalize racial dominance and disenfranchisement. Both facilitate life, liberty, and the pursuit of happiness by the upper and middle classes of the ruling caste, while denying these rights to the oppressed. Both shield the master race from close encounters with the injustices and miseries their rule imposes on non-citizens, thus protecting them from first-hand observation of human distress and the crises of conscience this can fuel. Both legitimize tyranny by praising the democracy of the ruling caste that imposes it. But how tyranny is authorized does not make it any less despotic, arbitrary, or cruel. So there are indeed similarities between South African apartheid and the system imposed on Greater Israel by contemporary Zionism. 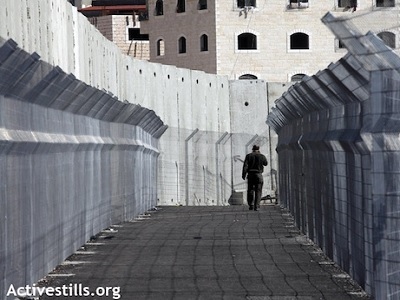 But, Israel does not imagine “separate development,” as apartheid did. It espouses Jewish ethnoreligious supremacy in all of Palestine and rejects self-determination for Palestinian Arabs even in the equivalent of Bantustans. The Israeli authorities not only obstruct economic and social development in non-Jewish areas of their domain, but harass their inhabitants to encourage them to leave, while threatening their eventual eviction. It is easy to understand why veterans of the struggle for racial equality and justice in South Africa universally proclaim Israel’s systematic violations of the rights of those it oppresses to be even worse than apartheid. It will be very hard, if not impossible, to persuade Arab states and peoples to normalize relations with Israel under these circumstances. Despite their recognition of the Jewish state, Egypt and Jordan have been unable to befriend it. The opprobrium that Israeli statements and behavior evoke effectively precludes the sort of regional coalition to balance Iran that shared interests would otherwise propel. The region is becoming more – not less – fixated on religion and perceived victimization by the West. The likelihood of Palestinian violence against Israel and its foreign supporters is increasing. These trends raise the risk that the universal Muslim abhorrence of Israel’s cruelties to its Muslim population could unite the region against it on the basis of religion. Designation of Israel as the enemy of Islam would enable Arabs, Persians, and Turks to suspend the sectarian wars and geopolitical rivalries that now divide them. As unprecedented as this would be, an eventual Sunni-Shiite entente to end Jewish humiliation of Muslims is at least as likely as overt Arab cooperation with Israel against Iran. This underscores that the costs to the United States of the ongoing strife between the inhabitants of the Holy Land cannot be measured solely in terms of dollars donated to sustain Israel’s “qualitative edge,” lives lost to anti-Zionist terrorists, or prestige diminished by the chronic failure of a transparently half-hearted and now-abandoned “peace process.” They must also be gauged in terms of expanding opportunity costs and risks. A peace deal in the Holy Land would open many doors to a better future. The absence of an agreement on how the Jewish, Muslim, and Christian inhabitants of the Holy Land can safely coexist skews the future in dangerous directions. With partition now impossible, the only path to peace for Greater Israel lies in recognition of the reality that there is and will be only one state in Palestine. That state cannot enjoy domestic tranquility or regional acceptance unless the injustices on which it is built are rectified. Criticism of Israeli racism is growing, as is international support for “BDS” – the movement to boycott, disinvest from, and sanction Israel on the model of the struggle to end apartheid in South Africa. The Palestinian issue is ripening into a struggle for civil rights rather than self-determination. It has become a cliché to say that Israel must choose between its democracy and its Jewishness. But the disenfranchisement of Greater Israel’s Arabs vitiates its claim to be a democracy. And its enforcement of Jewish supremacy throughout the territories it rules is driving the progressive abandonment of the rule of law and other liberal norms once central to Zionism. Most Israelis already appear to prefer a Jewish to a democratic identity. But what does it mean to be a Jew in Israel? Asked by the Pew Charitable Trust in 2016, 69 percent of Jews in America cited “leading an ethical and moral life” as essential to Jewishness. Only 47 percent of Israeli Jews agreed. Fifty-six percent of American Jews saw “working for justice and equality” as part of their religion. Only 27 percent of Israelis did. Forty-nine percent of American Jews valued “being intellectually curious” as part of Judaism. Only 16 percent of Israeli Jews did. Among American Jews 65 and older, 53 percent say caring about Israel is essential to what being Jewish means to them. Among Jews under age 30, by contrast, 32% express this view. Roughly nine-in-ten say a person can be Jewish even if strongly critical of Israel. Meanwhile, support for Israel has become a partisan issue among the general public in the United States. 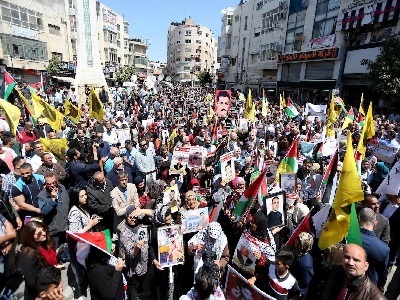 The basis is being laid for an internationally-backed struggle for racial equality, dignity, and democracy in Greater Israel. As was the case with South Africa, this drive will not be led by governments but by international civil society. Jewish activists in America and Europe as well as in Israel are likely once again to be disproportionately prominent in it. Efforts to suppress advocacy in the United States and Europe of political change in Israel will be well organized and financed. They will test but are unlikely to overcome the norms of free speech and assembly that are basic to the democratic order on both sides of the Atlantic. The struggle for a just constitutional dispensation in Greater Israel will be protracted, confusing, and painful for all concerned. But, the achievement of a democracy in which all governed by Israel enjoy life, liberty, and the pursuit of happiness is essential to secure Israel’s future, preserve and protect its Jewish heritage, and enable it to participate fully in the affairs of its region. If the moral issues that prevent Israel’s neighbors from embracing it and that are stripping Israel of support in the West are not addressed, Israel’s prospects for long-term survival will be poor. Palestinian inclusion in the democracy Israeli Jews have created would resolve this dilemma. And, as many Palestinians have come to recognize, this is now the only way they can hope to enjoy the human and civil rights they demand. The abandonment of Israel to its fate is not an option for the United States. Reconciliation between Israelis and Palestinians is as much in the American interest as it is in that of those two peoples. It is also the key to restored stability in the Middle East. Israel has effectively created a single state in Palestine in all but name. Its foreign supporters have every reason now to ask that Israel govern all the people in its charge with the justice and humanity that constitute the core values of both Judaism and the Western civilization. Very very good article! – Comes into every corner of the Palestinian-Israeli issue.